In this project, make a deck of 12, 24 or 48 match cards, depending upon the game you want to play and the ages of the players. 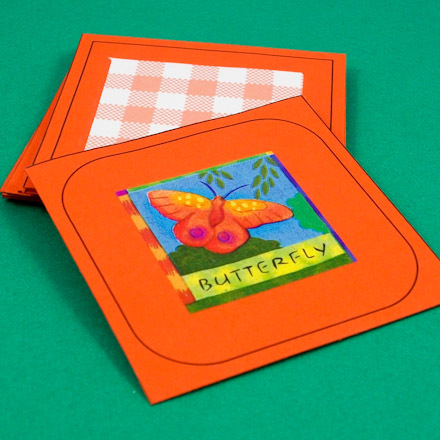 Make cards using Aunt Annie's designs, or print blank cards to create your own unique set of cards. 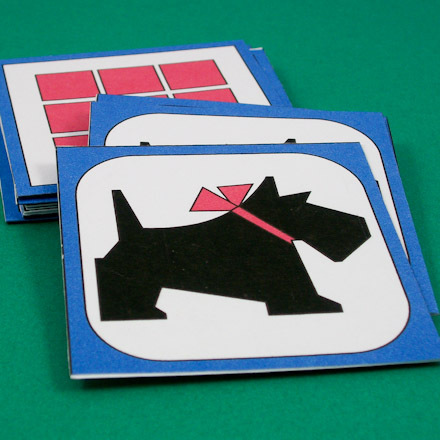 Included at the end of the project are the rules for playing three different games with the match cards — Match Game Rules, Go Fish Rules and Catch the Dog. Also, learn about the history of playing cards. 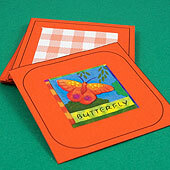 Related craft: Memory Cards - a Friday Fun craft project that's a group oriented variation on making match cards. Optional supplies: Ruler, craft knife and clear contact paper. Contact paper is self-adhesive shelf paper usually available on rolls in hardware and discount stores. Choose the cards you want to make. Download and print the pattern(s). A complete deck of match cards has 48 cards, but you can also make decks of 12 or 24 cards. A deck of 12 cards has six pairs, a deck of 24 cards has 12 pairs or six sets of four-of-a-kind, and a deck of 48 cards has 12 sets of four-of-a-kind. Print patterns to make the desired number and sets of cards. Be sure to make all the card backs the same for the entire deck. 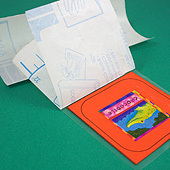 Print on cardstock or laminate the cards with clear contact paper to make longer-lasting cards. 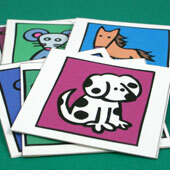 If you printed blank or black & white patterns, color the cards with any colors you like. Be sure to color all the card backs the same way. All the card backs in a deck of cards need to be the same. Tip: On blank cards, a quick way to make identical backs is with rubber stamps. Cut around each card on the solid black line. Try to make your cuts very straight. Fold the cards in half on the line between the card front and back. Try to match the corners exactly. Tip: If you printed on cardstock, score the fold line first for a better fold. Glue the card front and back together. Be sure to cover the entire area with glue. 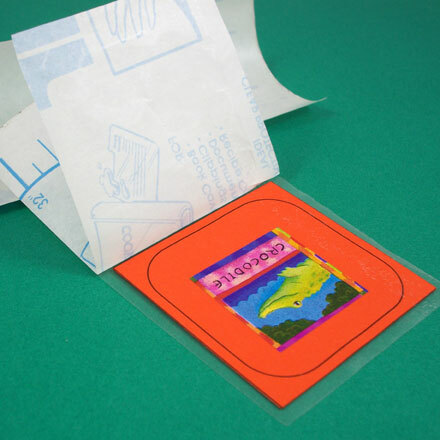 Tip: The card will stay cleaner and last longer if it is covered with clear contact paper. Cut two pieces of clear contact paper about 1/4 inch larger than the card. Cover the front and back with the contact paper. Trim as needed. Contact paper is self-adhesive shelf paper usually available on rolls in hardware and discount stores. 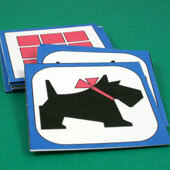 Continue below for Match Game rules, Go Fish rules, Catch the Dog and card game history. That's it! Have fun playing games with your cards! When were card games invented? No one really knows who invented cards and card games. The Chinese were known to tell fortunes with cards over 1000 years ago. Cards were probably first made for religious use and fortune-telling, but then people developed games to have fun. The first decks of cards were painted by hand. This took a very long time, and meant that the cards cost too much money for most people. When the printing press came into wide use in the 16th century, cards became much cheaper. Then, ordinary families could afford a deck of cards. Try this: Make up your own card game. Change the rules on a game you know or make up a completely new game. Use a deck of cards that you already have, or make your own deck. You can play this game with all of the cards, but it can also be played with as few as eight pairs or four sets of four-of-a-kind — 16 cards total. Number of players: Two to six. Object of game: To get as many matched pairs of cards as possible. The player who gets the most matched pairs wins. Before you start: You will need a big place to play: either a large table or the floor. Shuffle the cards. Lay the cards face-down on the table or floor, one at a time. Be sure that no cards overlap. You can lay the cards out in rows, in circles, or any way you like. The player turns over two cards, one at a time. The cards are kept in position. If the cards match, the player takes the cards and turns over two more cards. If the cards do not match, the player turns the cards face-down. Play passes to the next player to the left. Play continues until all the cards have been picked up. You should watch carefully and remember where cards are located. Then, when you turn over your first card, you may remember where to find a matching card. The player with the most cards wins the game. If you want, use a score sheet to keep track of the number of games each player wins or to keep a running total of each player's score. It is best if you play this game with 48 cards—12 sets of four-of-a-kind. Two players can play with a deck of 24 cards — 6 sets of four-of-a-kind or 12 pairs. Number of players: Two to five. Object of game: To collect as many matched pairs of cards as possible. The player who gets the most matched pairs wins. Before you start: You will need a big place to play: either a large table or on the floor. Shuffle the cards. Deal five cards to each player, one at a time. Spread the rest of the cards face-down in the center of the table or on the floor. Before you start, check your hand for pairs: two dogs or two hearts, for example. Put all pairs face-up in front of you. Each player must do this. Play starts with the dealer and continues clockwise around the table. When it's your turn, you ask any other player for a card that matches one in your hand. If the other player has the card asked for, she must hand it over to you. If the other player doesn't have that card, she says "Go fish!". Now fish for a card by drawing one from the cards face-down on the table. If you run out of cards, you may take one from the cards face-down on the table. If you get a pair by asking or fishing, put it face-up in front of you. You keep asking and fishing until you do not get a match. The player on your left has the next turn. Play is over when all the cards are gone. The player with the most pairs wins the game. If you want, use a score sheet to keep track of the number of games each player wins or to keep a running total of each player's score. You play this game with 45 Aunt Annie's Match Cards. Take all of the dogs out of the deck except one. Or play with 49 regular playing cards. Remove three of the deuces (2's), and play Catch the Deuce. Number of players: Two to eight. Before you start: This game can be played almost anywhere. Shuffle the cards. Deal the cards, one at a time, to the players until all the cards are gone. It's okay if a few players have an extra card. Remember you want the dog card in your hand. Before you start, check your hand for pairs - two worms, two hearts, for example. Put all pairs face up in front of you. Each player must do this. On your turn draw a card from the hand of the player on your left. (No looking!) If you get a card that matches one in your hand, put the pair down on the table face up. If it doesn't match, keep the card in your hand. Now, the player to your left takes a turn. The game is over when all the cards are paired except the one dog card. One player will be left with the dog card. That's the winner—they caught the dog! If you want, use a score sheet to keep track of the number of games each player wins. 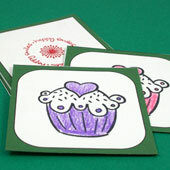 Tip: Make a set of match cards by stamping the blank patterns. Use one stamp for the card backs, and a variety of stamps for the fronts. 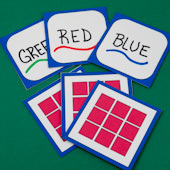 You can also use a single stamp for the front and color pairs to match. 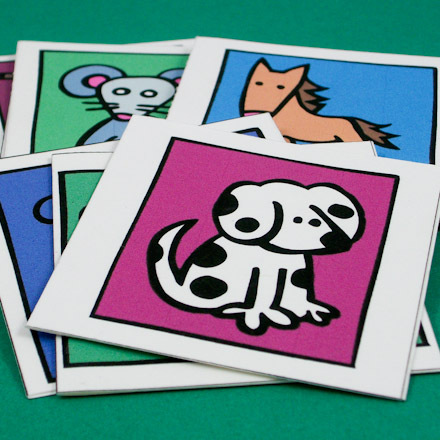 Tip: A quick way to make a set of match cards is by printing the blank pattern on colored paper and adding stickers. In this example, Aunt Annie's Gingham Check ePaper was cut in squares and glued to the match card backs. Tip: Use clip-art to make match cards with virtually any theme. This set features cute Chinese zodiac cartoons. Tip: Match cards are a fun way to learn, especially for new readers! Make custom match cards using one of the blank patterns and markers. Tip: Laminate the match cards with clear contact paper to make them more durable.